Hi! 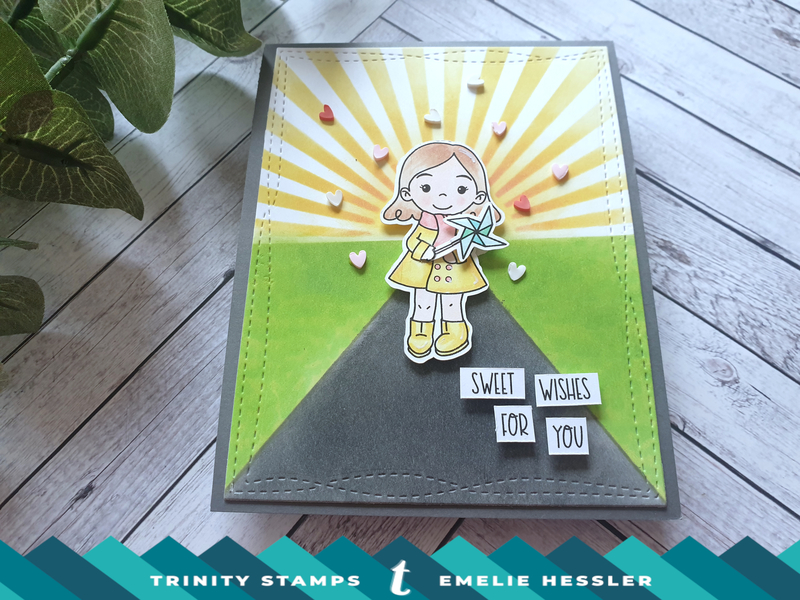 Emeile here with a new video on trinity stamps YouTube channel. I used this wonderful girl from Seasonal Sweetheart and created a card that I hope will inspire you to create. I focused on the background and how to easily create much interest with the help of a ruler and some color. To decorate the card I used Sweet & Tart Heart Sprinkle Embellishments.I hope you enjoy the card and want to see the video.